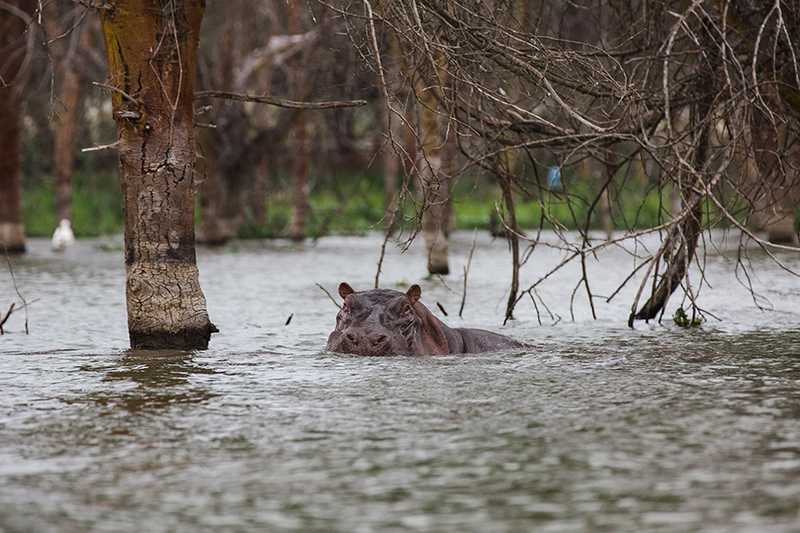 Did you know that Hippos are the most deadly animal in Africa? 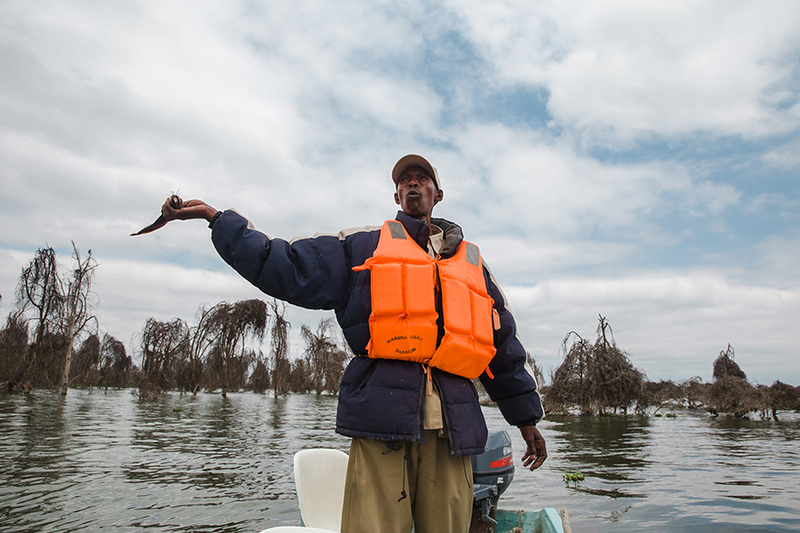 As a fan of trivia I knew this little fact, so going on a water safari on Lake Naivasha in Kenya had me a bit anxious. 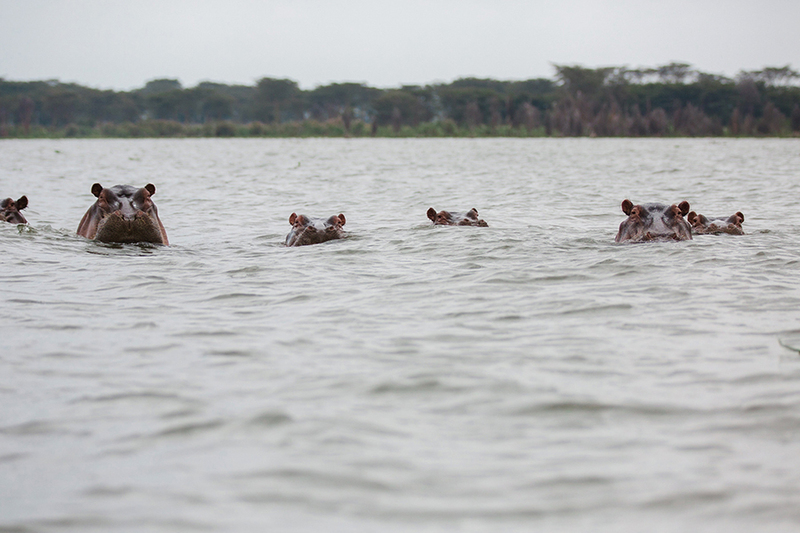 However – we managed to view wild hippos incident-free. When we arrived at the shore where we were meeting our guide I couldn’t help but think of that Disney World ride where you go a water safari, anyone else remember that? 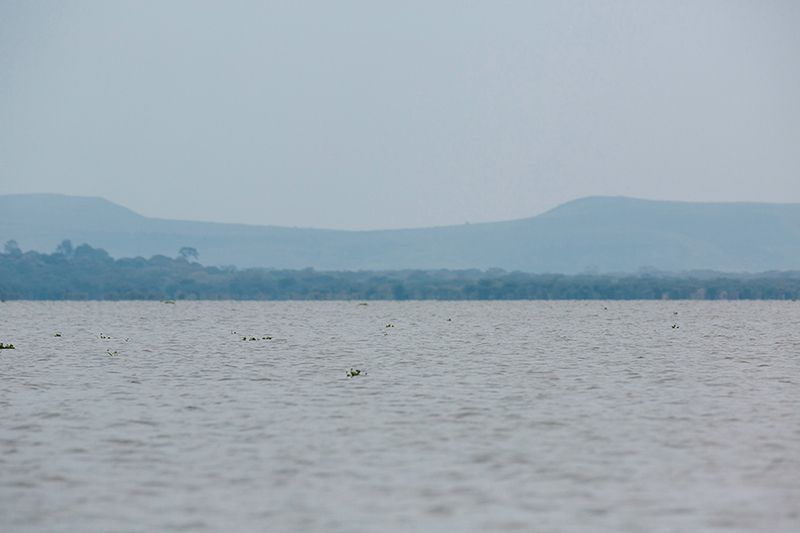 Anyways, we boarded the little blue motor boat along with our guides and headed out among the trees. 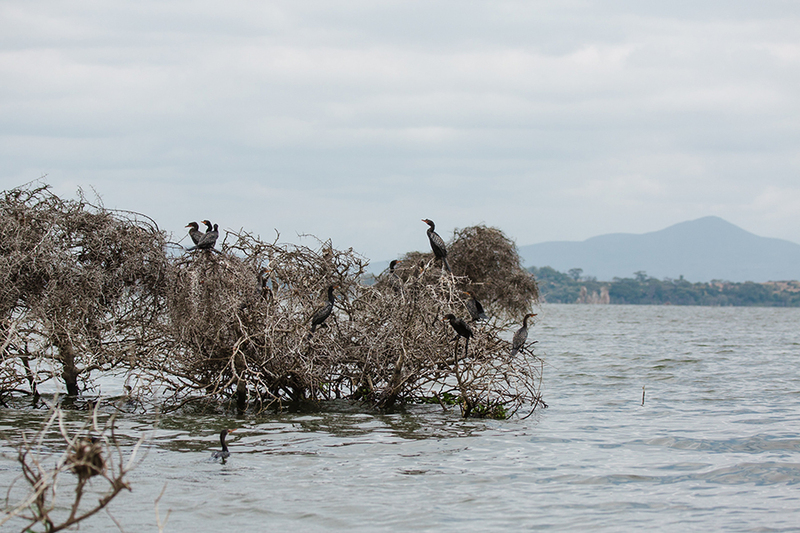 Lake Naivasha has flooded in recent years and claimed some of the land, so the edges of the lake are home to hundreds of trees. 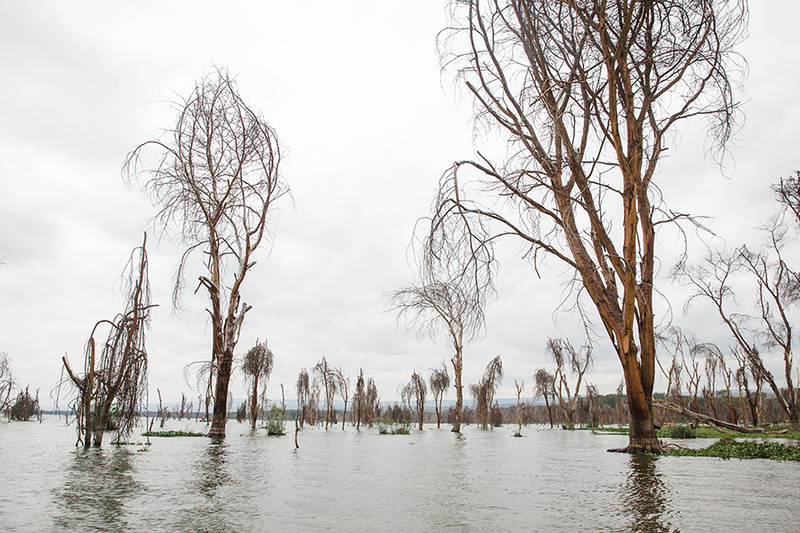 The tall trees in the water give the lake an eerily beautiful look and floating between them felt other-worldly. 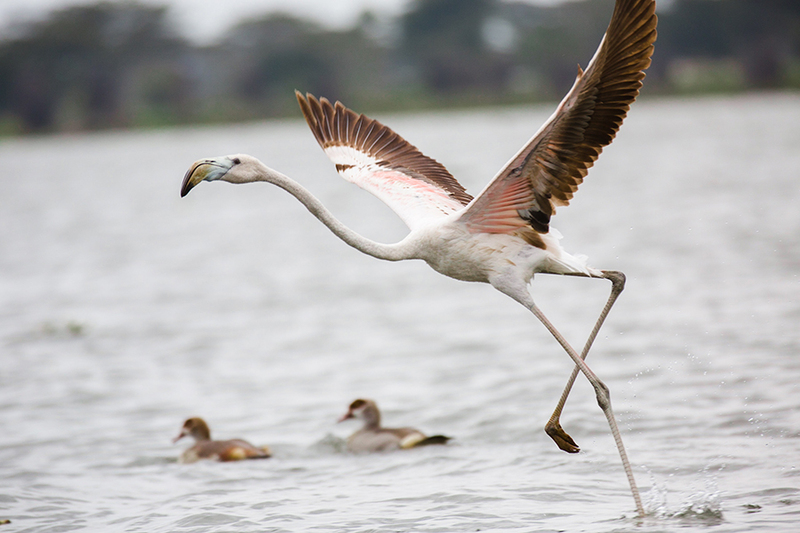 The region is also known for it’s many species of birds that live in the trees and along the banks, including flamingos. Though I wouldn’t exactly call us ‘bird people’ we enjoyed observing the birds and our guides were sure to point them all out to us. 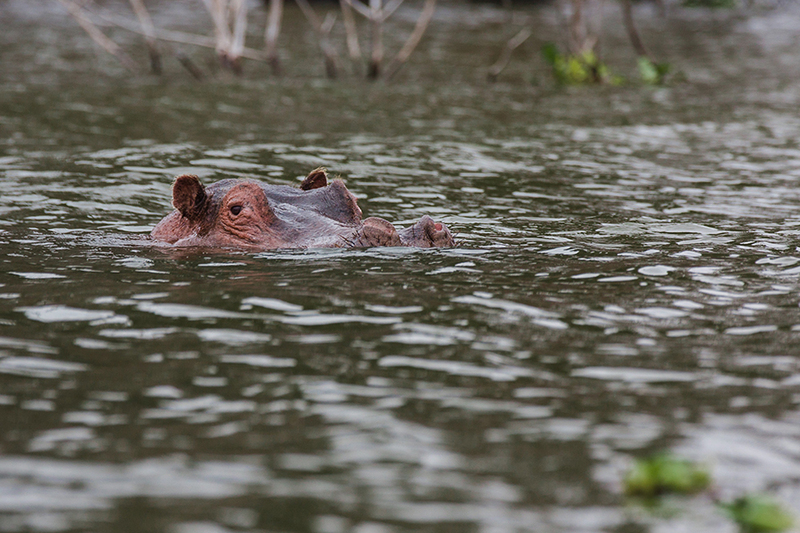 When we were viewing a couple of hippos from a distance I relied on the expertise of my guides to gage how close was a safe distance, however, he made me nervous on more than one occasion. At one point he took us to see a family of eighteen (!!) 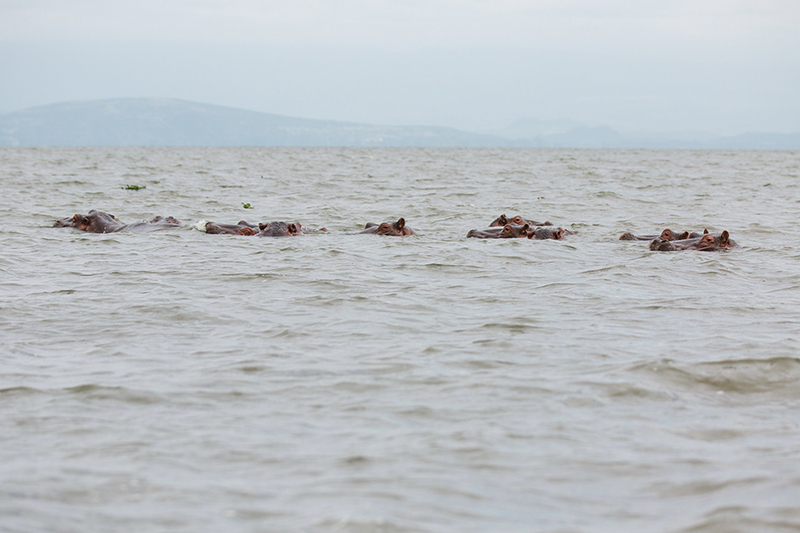 hippos and proceeded to get close in order for me to take better photos. 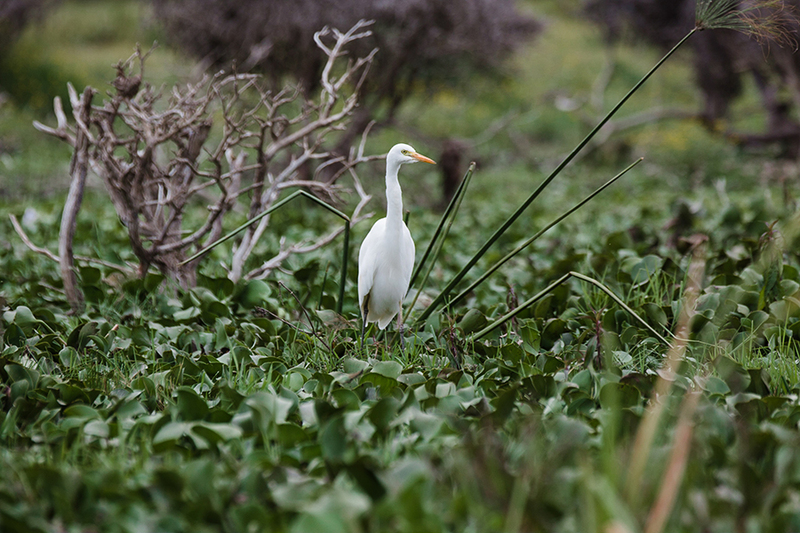 I assured him that I was more than fine with staying back and using a telephoto lens! Aren’t the birds resting in the trees so pretty? I really enjoyed getting close to the trees and observing the birds flying between perches. 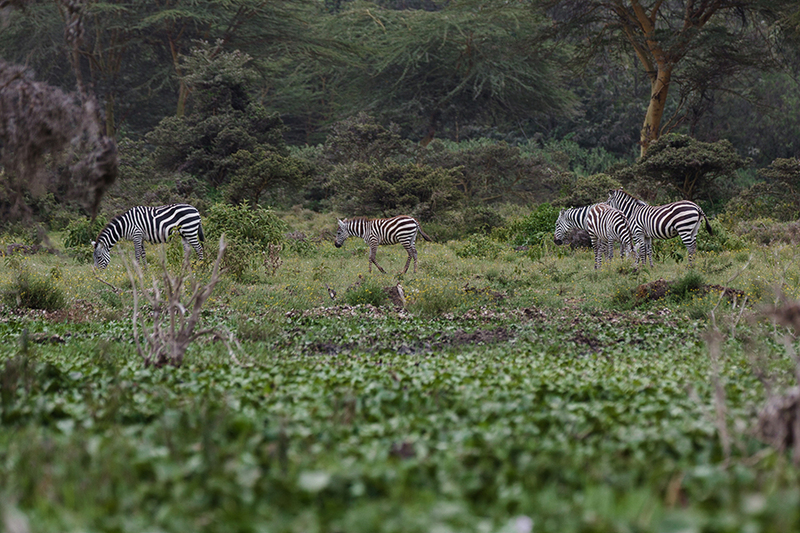 And then we saw our first wild zebras along the banks! When the guide told us that there were zebras on shore I thought he was teasing me because I didn’t really believe that he would be so nonchalant about something as amazing as a zebra, but sure enough, there they were! We also saw a giraffe grazing in the trees behind them but he was too far away to get a great photo. Our guide’s reaction to seeing these animals reminded me of an American seeing a deer – a regular and mundane occurrence. Dave and I were in absolute awe. 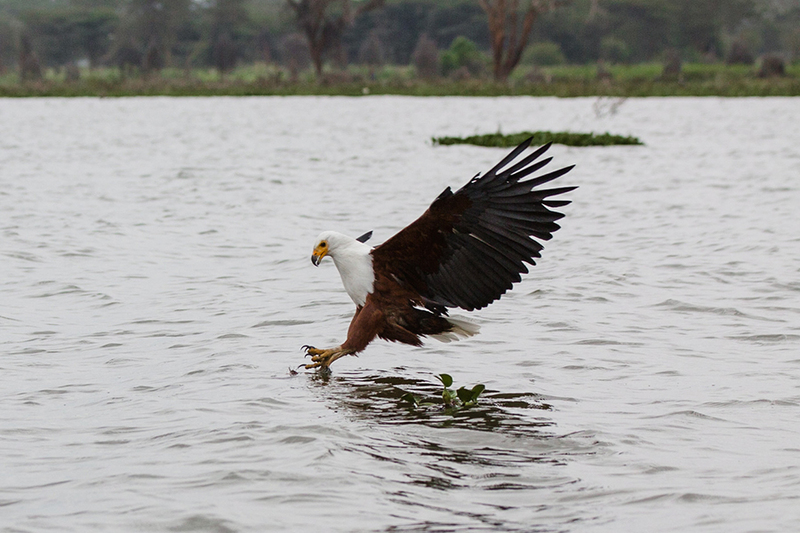 Then our guide asked if we wanted to see an eagle – something we are always up for. He proceeded to pull an eel out of the water and whistle. When he tossed the eel in the air, an eagle came down to retrieve it. You know, a regular Wednesday. All the while, these guys were watching us. 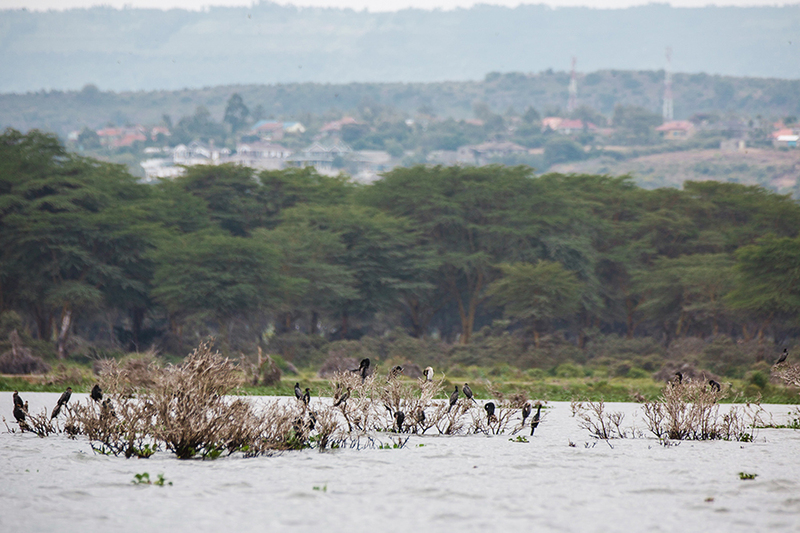 Despite my hippo-fear we had a really great morning riding through Lake Naivasha. I would definitely recommend this to anyone who finds themselves in the area. 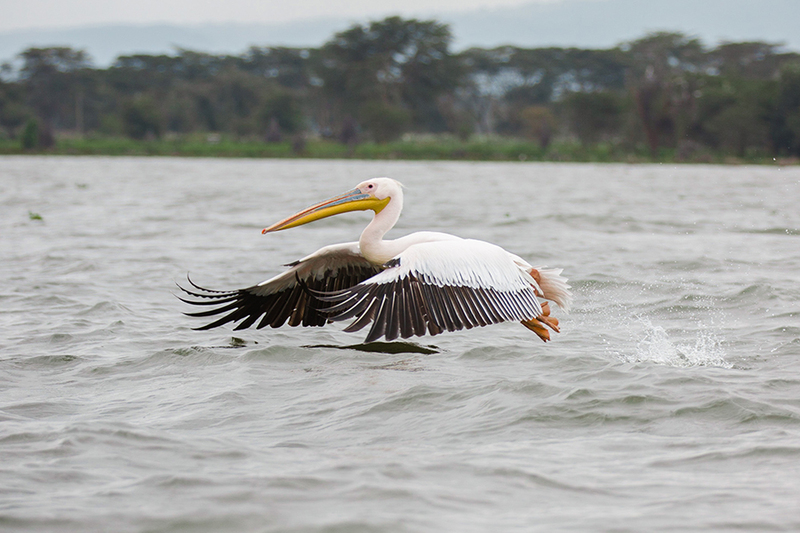 The lake is only about an hour drive from Nairobi so it would be perfect for anyone who doesn’t have the time to make it out to the mara for a traditional safari. 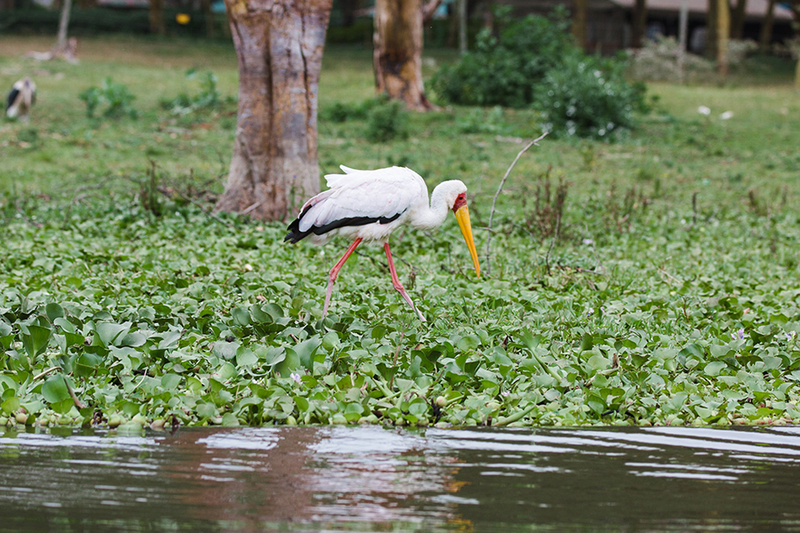 After this water safari we went to Hell’s Gate National Park (a post for another day) and I think this makes for an ideal day-trip from Nairobi. 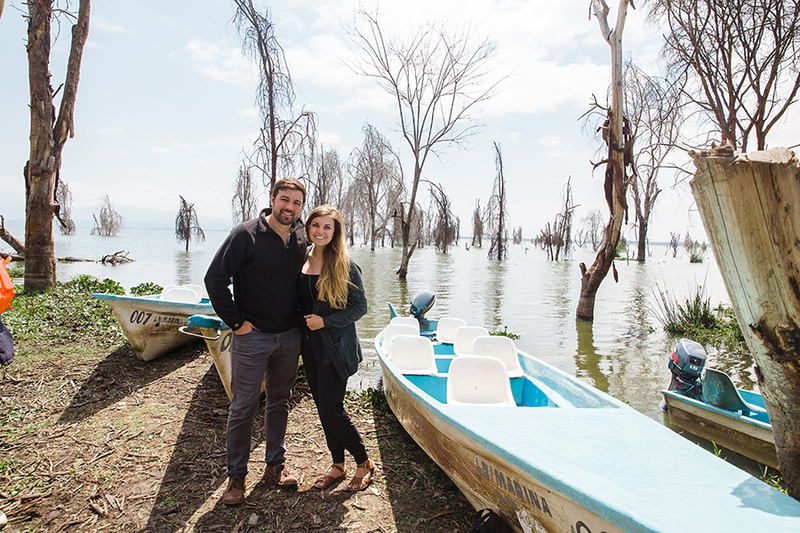 Here we are by our little safari boat.